In any given business, learning is essential -- but this is especially true for early stage companies that are still defining themselves. In addition to making customers happier and more successful, your Customer Success team can serve a critical role by helping your organization clarify its Value Proposition. Initial assumptions made when launching a business are frequently off the mark. Founders adjust their product offerings, sales and marketing strategies, and sometimes even business models in order to pursue opportunities that materialized only after the company was chasing something else. Is this a sign of failure? Not necessarily. Research suggests that startups that “pivot” (make a dramatic course correction) once or twice raise 2.5 times more money, have 3.6 times better user growth, and are 52% less likely to scale prematurely than companies that pivot more than twice or not at all*. In the long run, startups are more successful when they learn and adapt quickly. Learning is so essential to entrepreneurship that investors now expect founders to use iterative methods such as Lean Startup to thoroughly validate markets, products, and business models before raising capital. It’s a modern-day, continuous learning version of the ancient scientific method. Similarly, founders also employ quick-and-dirty tools like the business model canvas to articulate Value Propositions and test their hypotheses by experimenting, observing outcomes, and refining their offerings. Only after the enterprise demonstrates suitable market traction do savvy investors seriously consider funding them. Discovery doesn’t stop once a company sets its path and produces sustainable cash flow. In the early stages, their chosen Value Propositions remain in a state of flux. Often the first customers are the “early adopters” -- those willing to try leading edge ideas. But as more mainstream buyers shop the product, customer decisions become less risky and more pragmatic. Startups typically realize that their initial segmentation was too broad. For example, if a company starts by targeting “financial institutions,” they may come to realize that “alternative fund managers” are where the real opportunity lies. Competitors have a say in Value Proposition refinement, too. Rivals can emerge at any time, and marketers must re-frame their messaging to retain their competitive distinctiveness. Your Customer Success organization is in a unique position to facilitate this organizational learning and refinement. 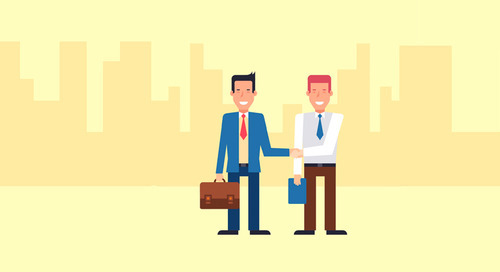 Unlike the Sales team, which is intent on closing the next deal, or Customer Service, which focuses on closing the next trouble ticket, your Customer Success team can discover more about customers while onboarding and building relationships with them. Armed with a consistent process and robust data from a growing volume of customers, Customer Success can aggregate and analyze critical observations, enabling you to share powerful market insights with your executives. A. Target Customers — who exactly the company is going after by industry, business situation, problem set, type of user, individual, etc. The company will tend to do business with whoever will buy, but the more customers fit the ideal profile, the more benefit they will receive, the more loyal they will be, and the more efficient and profitable the business will be in serving them. Like an archery target, define labels for no more than four sets of customers (“bulls eye,” “middle ring,” “outer ring,” and “off-target”) allowing you to rank customer groups by relevance. B. Specific, measurable end-result benefits you offer — these are the explicit promises your company makes to customers during the sales cycle, such as exactly how much faster, easier, or less expensive things will be with your solution. Classify your customer base. Review the target customer designations (“bulls eye,” “middle ring,” etc.) 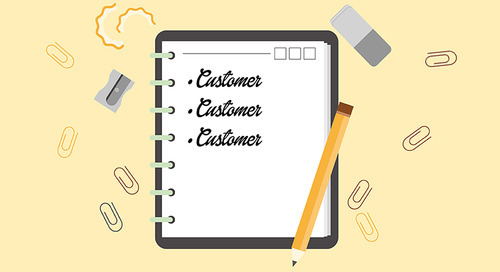 with your team and assign each customer to the appropriate category. Add this field to your database. In some cases, you may not have enough information, so devise a strategy to collect the missing data by reaching out to customers directly with calls or surveys. To make sure you do this consistently in the future, add a single question during the online sign-up process: “Which statement best describes you?” allowing customers to select just one answer. Ideally, your Marketing team will then use these designations for tailored campaigns. What problem does our product solve for you? How exactly does it meet your need? Why did you buy from us in particular? How has using our product improved things for you? What can we do better for you? Record the data. Add these open text fields to your database and put good management practices in place to ensure your team members incorporate this activity into their daily routine. Your management system should include metrics, training, coaching, and job aids to help set and reinforce the new habit. Review and analyze the results every quarter. Along with your team members, look closely at the data, searching for similar comments that appear frequently. Pay particular attention to shifts or trending in relative percentages of target customers, usage, needs or benefits with new customers coming on. Note how segmentation correlates with usage, satisfaction, churn, upselling and cross-selling behaviours. Summarize your data with correct statistical analysis and provide commentary for your findings. Refine the Value Proposition. Present your findings to your executive team and conduct an exercise to edit your Value Proposition (see step 1) using your CSM team’s analysis. This session will be incredibly insightful and productive, leading to new segmentation, clearer messaging, and breakthrough products and services. Your Customer Success team serves as a critical “listening post,” helping your company continuously learn and understand how well it meets the promises made to customers. Your insights can add clarity and focus to your Value Proposition, spur innovation, and promote sustainable growth and success for years to come. Do you have any tips or advice on refining your value proposition? What Did You Contribute to Your Customer Today?